Nymans is a Grade II* Registered Historic Park and Garden at the edge of a Conservation Area and also lies within the High Weald AONB with areas of Ancient Woodland and SSSI also lying within the estate. 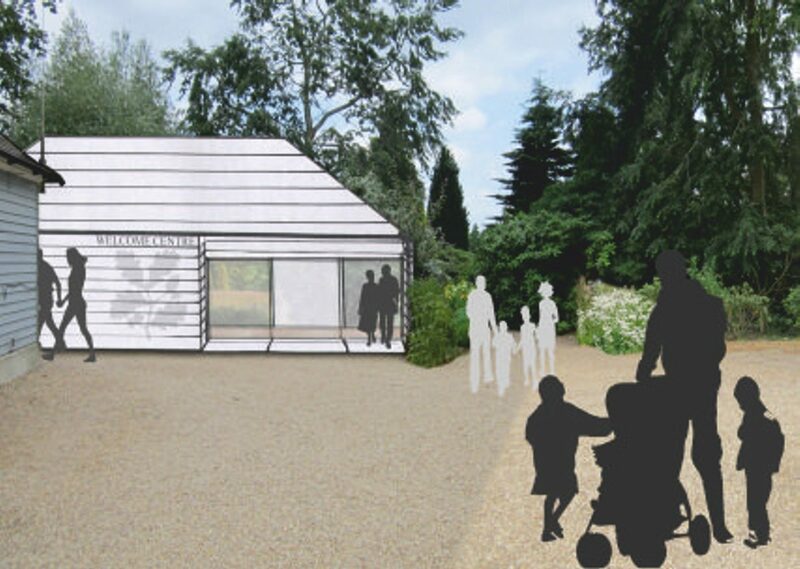 Our work here has included a range of projects aimed at enhancing and future-proofing the existing estate and improving the visitor welcome, overall function and sensory landscape experience. As part of “The First 50 Yards Project”, we prepared a Landscape Masterplan highlighting a strategy for enhancing the visitor welcome and prepared subsequent detailed proposals for a range of design interventions, including a café extension, ‘fast-track’ visitor entrance, upgrades to pavings and structures and a new gateway and buggy link to an underused Pinetum. Following on from this work, we prepared an interim report making broad recommendations for a range of short-term changes that could be made to the existing car park and longer term options for car park and access arrangements to accommodate various levels of predicted visitor numbers. Longer term design options considered the use of areas beyond the existing car park, including alternative use of tenanted land, replacing existing visitor welcome buildings and relocating access points. Each option was presented as a sketch layout, cross referenced to matrices providing a description of each proposal with supporting analysis and commentary on budget costs, buildability and salient landscape and visual issues.